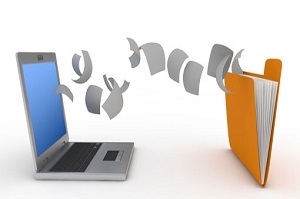 We hosted a great webinar this morning on “The Power of the Paperless Office." Our speaker, Pamela Doyle, is the Director of Education, Imaging Products Group, for Fujitsu. During this presentation, Pam covered business cases driving the adoption of the paperless office, highlighting cost savings, continuity, environmental impact, and compliance as the primary factors that businesses consider. Pam also shared real-world case studies of business that have achieved significant success going paperless. The recording and slides for the June 20, 2013 webinar can be found below. This educational event was hosted by SecureDocs, a secure virtual data room for storing and sharing sensitive business documents, and Fujitsu, a worldwide leader of IT products and services.